Carleton Watkins: The Art of Perception, San Francisco Museum of Modern Art; The Metropolitan Museum of Art, New York; National Gallery of Art, Washington, 1999-2000, no. 12, as Piwac, Vernal Falls, 300 feet, Yosemite. Carleton E. Watkins: Photographs 1861-1874. San Francisco: Fraenkel Gallery, in Association with Bedford Arts, Publishers, 1989, illus. pl.30. 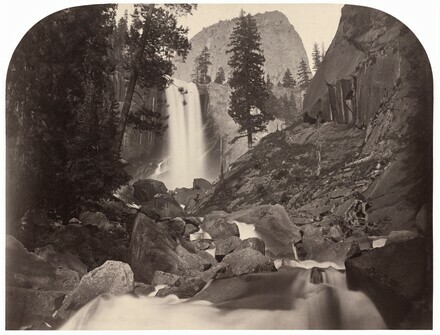 Carleton Watkins: The Art of Perception. Exh. cat. San Francisco Museum of Modern Art; The Metropolitan Museum of Art, New York; National Gallery of Art, Washington, 1999-2000: no. 12.